The earliest branch of St. Paul’s began as an outreach of Central United Methodist Church. It was chartered the North Asheville Mission Methodist Episcopal Church, South in 1887. 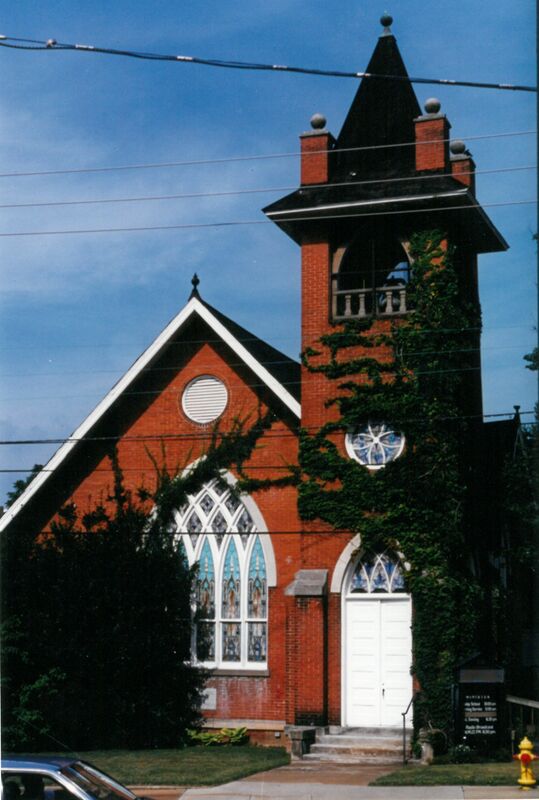 In 1888, the congregation built its first church building on Center Street, now Forsythe. A year later “Mission” was dropped. 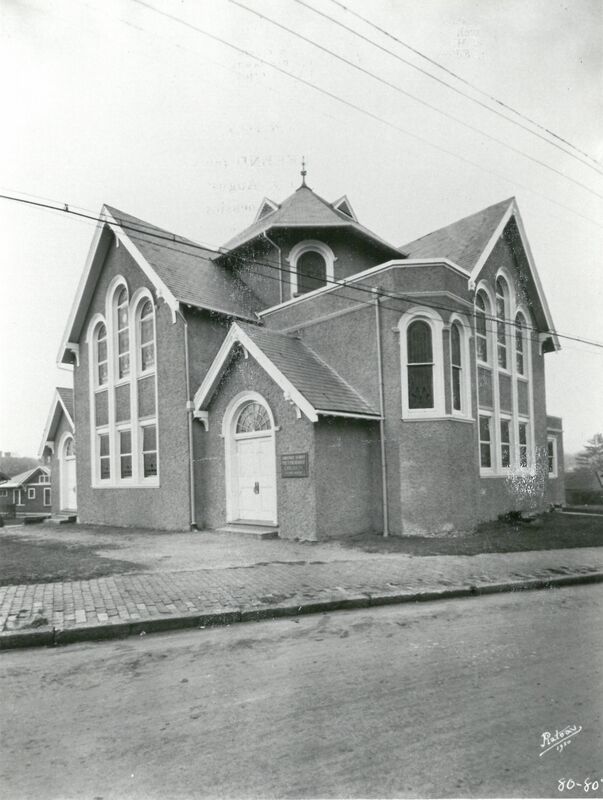 As the congregation grew, they moved in 1913 to the corner of Chestnut Street and Monroe Place, changing the name to Chestnut Street Methodist Episcopal Church, South. Eventually the Chestnut Street church was sold and property purchased at 223 Hillside Street. 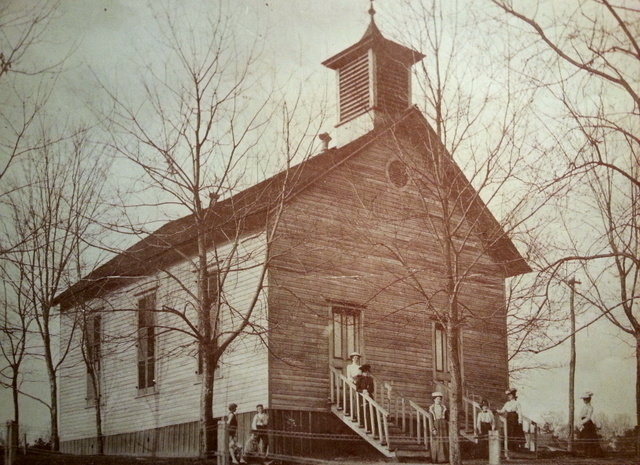 They used the existing residence for Sunday school and worshipped in the Claxton School Auditorium. In 1932, they built an “Assembly Building” on the property. Meanwhile in 1904, another congregation known as the Methodist Protestant Church began meeting. Services were held in members’ homes, Buncombe County Courthouse, and the Pythian Hall. In 1914, members built a church, yet standing, on the corner of Merrimon and Hillside Streets. 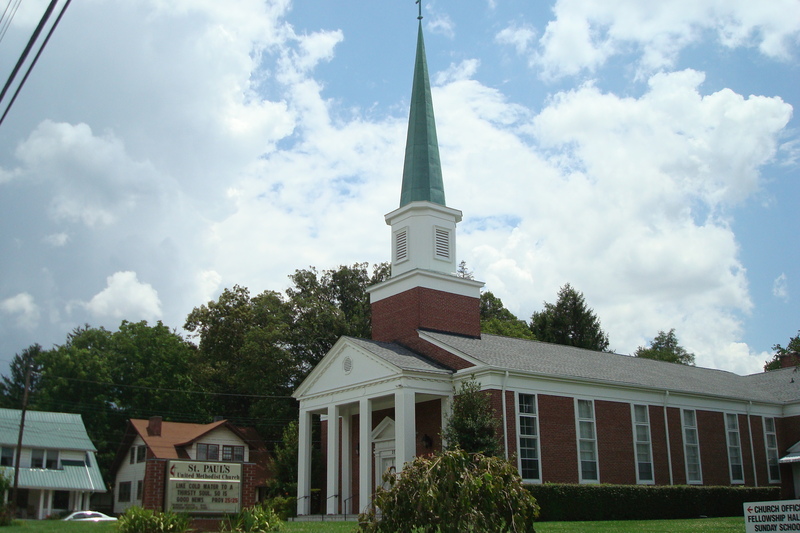 In 1941, after a merger of the two denominations in 1939, the two congregations merged. Worship continued in the Merrimon Avenue Church with Sunday school on the Hillside property. In 1949, a campaign began to build a larger church on the Hillside property. Ground was broken on April 23, 1950. The church was named St. Paul’s when the pastor, Rev. Clifford Peace, a World War II Chaplain, presented a shard of stained glass broken from St. Paul’s Cathedral during the London bombing. The Bailey Building was added in 1974. A merger of the denomination in 1968 brought about the current name of St. Paul’s United Methodist Church.